I decided to implement sample app for JET composite component. This is powerful thing, it allows to build pretty much any UIs with HTML - package as components and reuse in the apps. 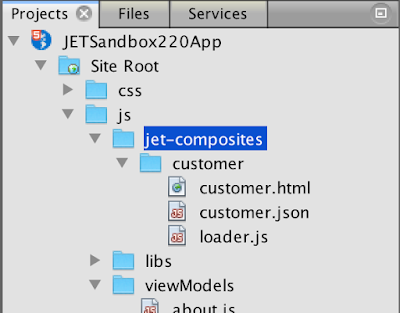 Not only UI - JET composite component gets data as any other standard JET component. 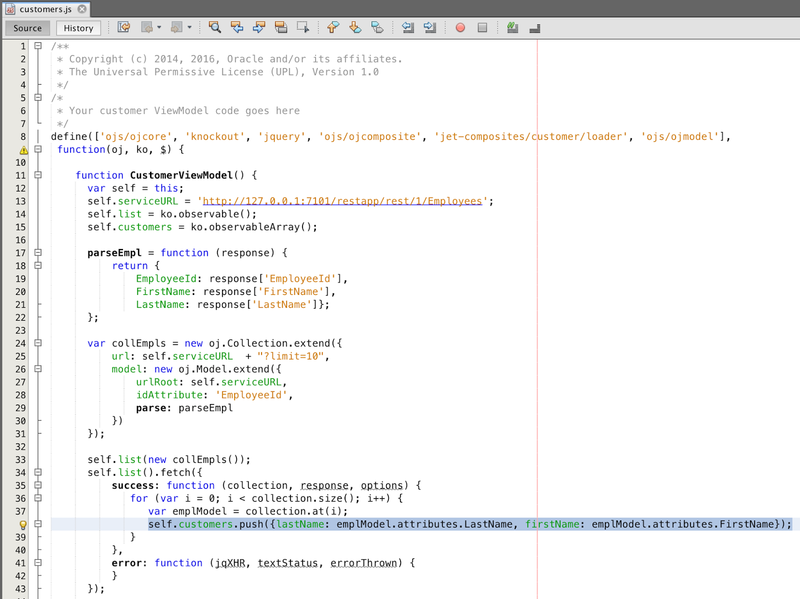 This allows to build your own components for forms, tables, various widgets. 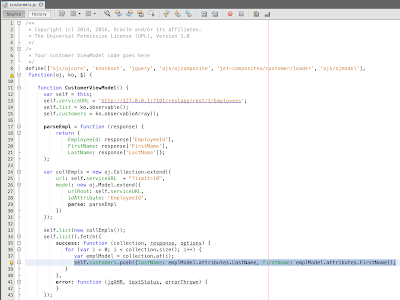 It allows to simplify code complexity, you could hide frequently used code into JET components and use component with parameters only on the page. My sample is based on example from Geertjan Wielenga blog - Minimal Oracle JET Composite Component and I show how to supply data from ADF BC REST to be displayed in JET composite component. Read more about JET composite components in JET Cookbook - Composite Components. 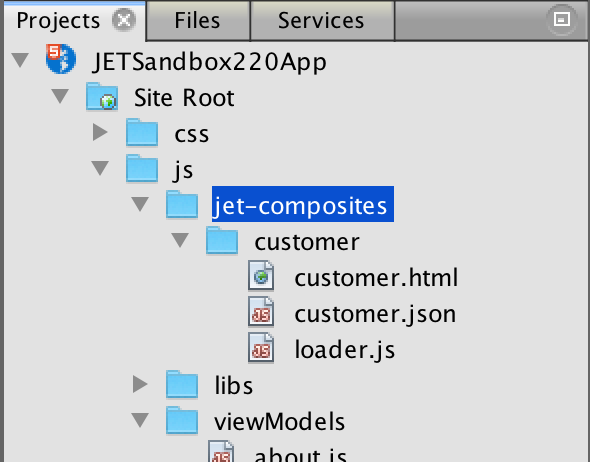 Sample is implemented with latest JET distribution 2.2.0 (it didn't work for me with 2.1.0 - JET app was blocked, after composite component was displayed) - JETSimpleCompositeApp.zip.